Republicans in both the House and Senate have had 7-years to create their replacement for Obamacare. From the moment, the Affordable Care Act was passed and forced upon the American people, Republicans have been saying they wanted to repeal and replace it with a better plan, but evidently, no one worked on that better plan until after last November’s election. House Republicans have voted at least half a dozen times to repeal Obamacare, over the past 6 years, but their actions were in vain as there was no way Barack Obama would ever sign a bill that repealed his flagship legislation and Republicans never had enough votes to override Obama’s appeal. Their gesture to repeal was nothing more than a gesture for their constituents and nothing more. Yet through it all, they never worked on a replacement program. The actions of congressional Republicans remind me of millions of school kids who wait until the night before a paper is due to start writing it. The end result of those last-minute papers are about the same as the apparent results of the Republican plans (House and Senate) that have been seen so far. Senate Democrats have offered to work with Senate Republicans to come up with a workable and acceptable replacement, but Republican leaders say all Democrats want to do is to delete what they don’t like and insert their plans, which are different than what Republicans want. Because the current Senate version was so hastily and poorly constructed, there is not enough support, even among Republicans, to pass the measure, so a vote has been postponed until after the July 4th holiday recess. It just seems that Republicans aren’t able to concentrate and think properly. Perhaps what they need to do is take a short nap every day to help them come up with a workable and acceptable healthcare plan? According to a recent study conducted by the University of Colorado Boulder, taking a 15-to-20-minute nap increases learning, memory, awareness and also helps a person think more clearly. All of these are desperately needed by congressional Republicans. 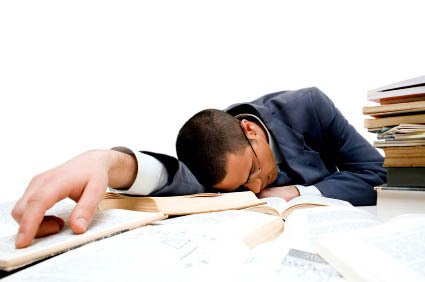 Studies have shown that short naps can improve awareness and productivity. You don’t need much; just 15 to 20 minutes can make a world of difference. If only American employers would realize the significance of an afternoon power nap. Could the solution be so simple that all Senate Republicans need is to take a 15-20-minute nap at least once a day to help them develop their replacement for Obamacare? You guys crack me up. It is so refreshing to read these articles. Not only are they good information on health related issues… they are filled with common sense.. I am so happy to receive these emails and know your team has a brain! Also thankful you say succinctly …JUST how it is. I wish congress would see some of your articles. I hope your articles reach new people and open their eyes. A terrific post containing necessary information about taking nap in order to refresh our mind and increase our attentivity and focus on work. A nap of about 10 to 20 minutes in afternoon is quite enough to refresh our mind and increase our energy and alertness. Very interesting post with a great educative value.